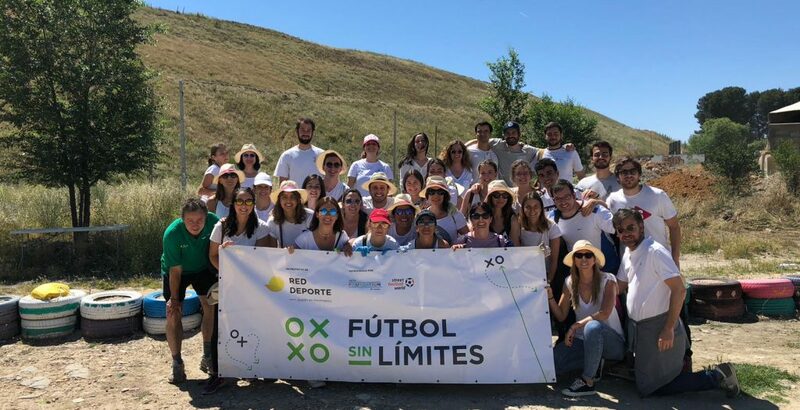 Last June, Clifford Chance participated with Red Deporte and youth community at Cañada Real, in a memorable action day. We organized ourselves in different teams, to compete for clean and waste withdrawal in the area around the sport facilities at Cañada´s sector six. We filled several containers of waste giving a much better playing condition and image in the surroundings of the soccer fields. In addition, children and young people have been made aware of the importance of maintaining a clean and healthy environment, free of garbage and waste that imply health risks (such as syringes or crystals, among others). To culminate the day all participants enjoyed a meal with the young people of the program and a visit to the environment of sector six of Cañada. Our thanks to Clifford Chance for being involved in the environmental improvement and safety of the recreational environment in Cañada Real.